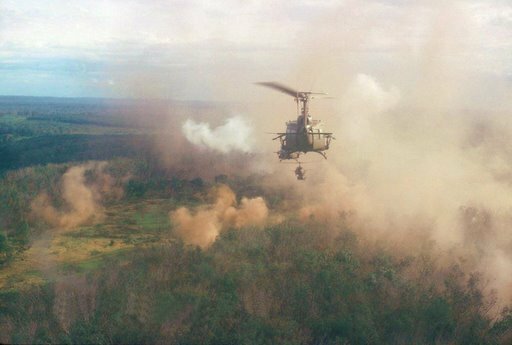 The war in Vietnam presented a new type of battle fought with new weapons and new tactics against a very different enemy. It was a war without front lines and enemy tactics were very different from those experienced by the US Army during World War II and the Korean Conflict. 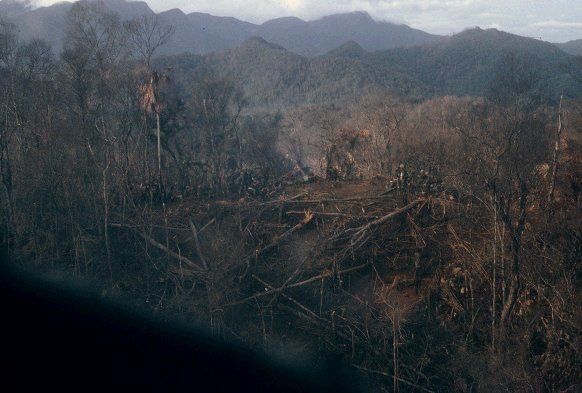 The key military strategy of enemy forces during the Vietnam War was to retain the initiative by attacking weak spots of their choice for the purpose of inflicting casualties and destroying equipment and installations. To combat enemy attacks of this type, the 1st Cavalry Division’s awesome airmobile assets of 460 helicopters added a new dimension to warfare by providing a capability for deploying combat units to threatened areas quickly and at short notice. 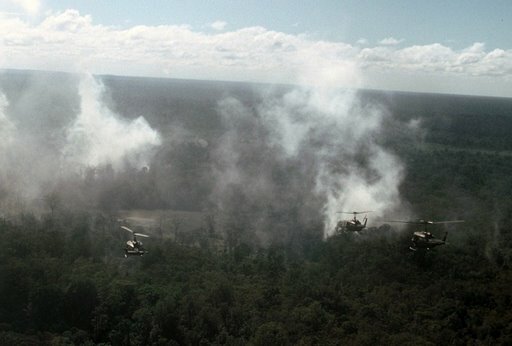 Once the battle started, these helicopter assets significantly increased the combat power of 1st Cavalry Division units by allowing commanders to conduct one or more surprise attacks from different directions, quickly reinforce units in contact, extract committed units, or block enemy escape routes. In a nutshell, we were able to outmaneuver enemy forces because helicopters provided us with the means to hop, skip and jump over a large geographical area at short notice and swiftly. 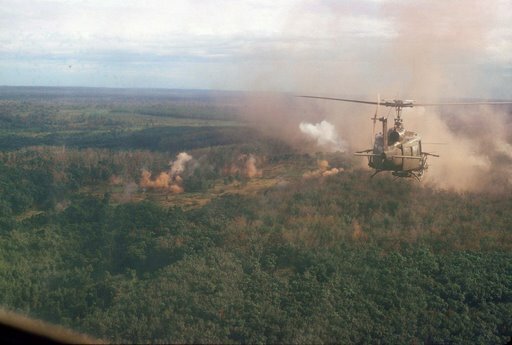 As a consequence of these unique airmobile capabilities, the 1st Cavalry Division was the fire brigade for the northern region and we moved frequently to different areas to combat large-scale enemy units who were attacking friendly weak spots. 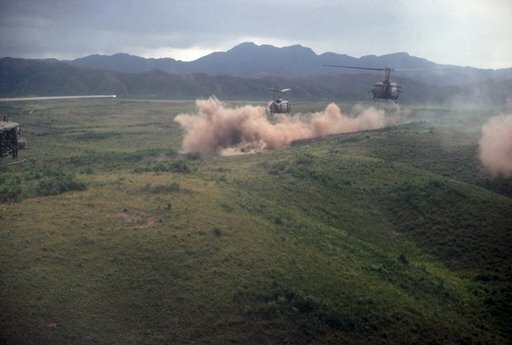 During our tour in Vietnam, Bravo Company deployed to the following areas to combat large-scale enemy units: Song Re Valley, Tua Hoa, Dak To, Quang Tri, relief of Marine base at Khe Sanh and A Shau Valley. When we deployed to threatened areas several hundred kilometers away from our base area, we were transported on C-130 Hercules aircraft to the closest airfield. The C-130 Hercules has a long reputation as the workhorse for delivering troops, equipment and supplies. 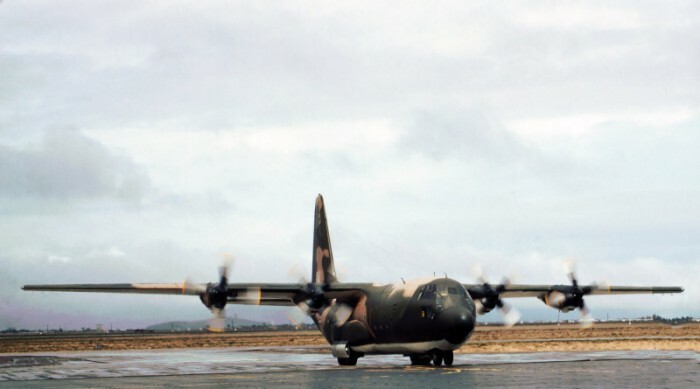 One C-130 was required to airlift the combat troopers of Bravo Company and as these Hercules were not equipped with seats, it was a tight squeeze to sit over 120 troopers with their packs and weapons on the floor. On landing at our destination, we usually moved to helicopters on the airstrip and conducted a combat assault in our new area of operations. Bravo Company conducted numerous combat air assaults and we had a high-level of proficiency in all aspects of airmobile operations. We made extensive use of variations of four different types of helicopters - the Huey (UH-1), the Chinook (CH-47), the Cobra (AH-1) gunship and light observation helicopters. 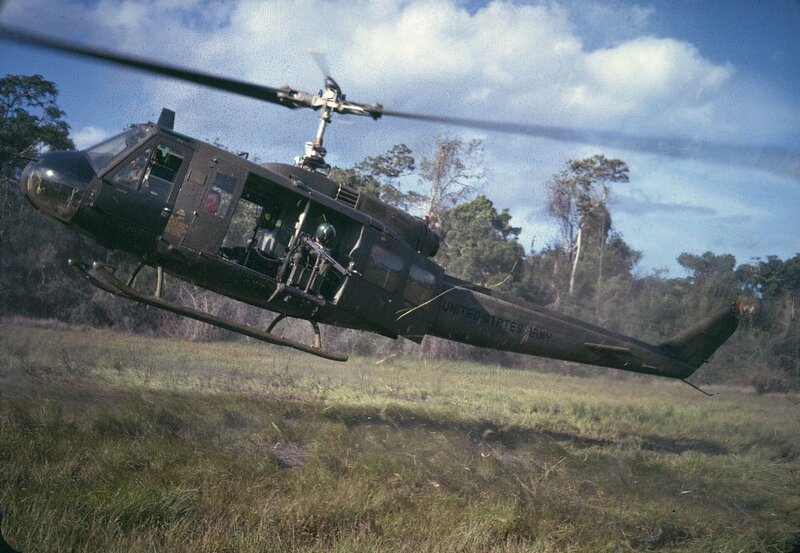 The Huey was the multipurpose workhorse of the helicopter fleet. It was used for air assault, to transport personnel and material, for medical evacuation, for command and control, and as gun ships. This versatile helicopter could accommodate up to 12 troops, 6 stretchers for medical evacuation, or transport cargo internally or by a sling. 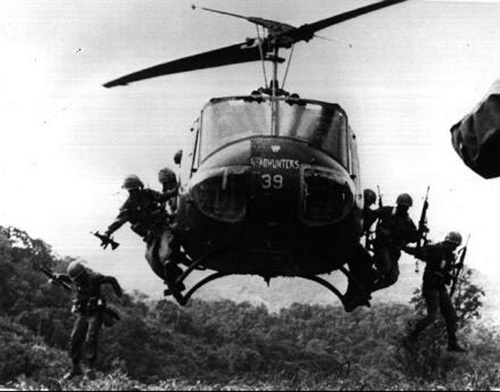 All of the Hueys we used were armed with two M-60 door guns. Each Huey had a crew of four, two pilots and two door gunners. 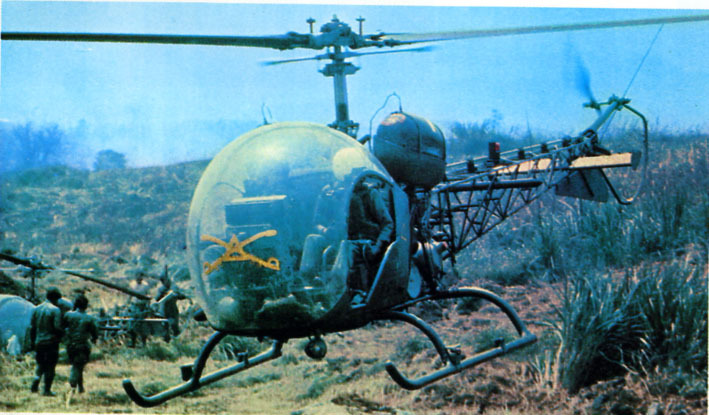 An earlier modified version of the Huey was used as a gunship and aerial rocket artillery until replaced by the Cobra in late 1967. 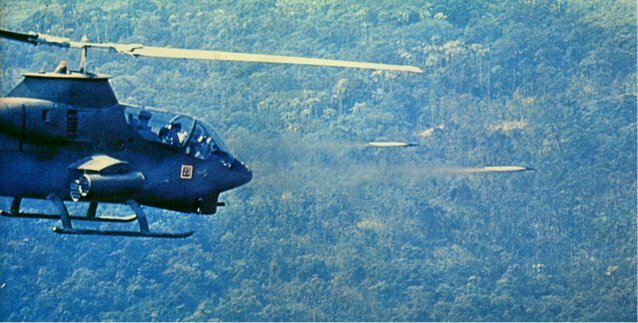 The new Cobra gunships began replacing the Huey gunships in September 1967, but we did not see them in operation until early 1968. The new AH-1G Corbra Gunship was armed with 7.62 miniguns or 40mm grenade launchers. 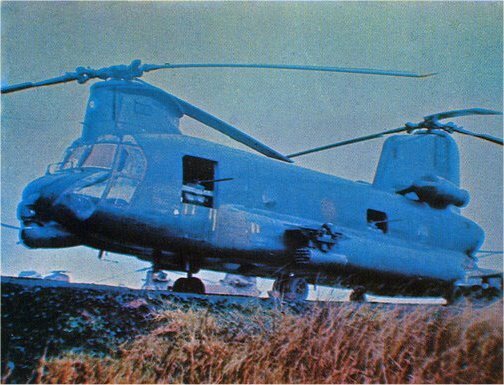 With two engines and rotors, the Chinook had a large lift capacity and was used for transporting troops, resupply and moving artillery pieces. For example, a Chinook had the capacity of transporting an infantry platoon of 40 troopers, moving a 105 mm artillery howitzer in an external sling or transporting 28,000 lbs of cargo. It had a crew of 5: 2 pilots, flight engineer and 2 door gunners. 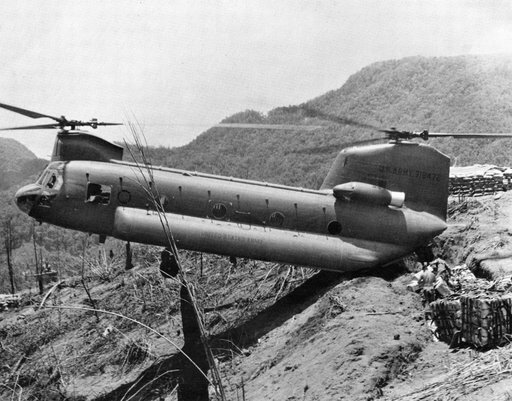 Several Chinooks were converted into attack gunships with the appropriate name of “Guns-A-Go-Go”. They had a crew of eight and added armor for crew protection. They were armed with up to five M2. 50 Cal. or M60D 7.62mm machine guns and two fixed-mounted 20mm cannon and two 7.62 miniguns, or two 2.75 rocket launchers and a chin-mounted 40mm automatic grenade launcher. The light observation helicopters were used for reconnaissance, mostly as scout teams, and the pilots of these scout helicopters were known to be fearless. The OH-13 was phased out in late 1967 and replaced with the OH6 Cayuse. 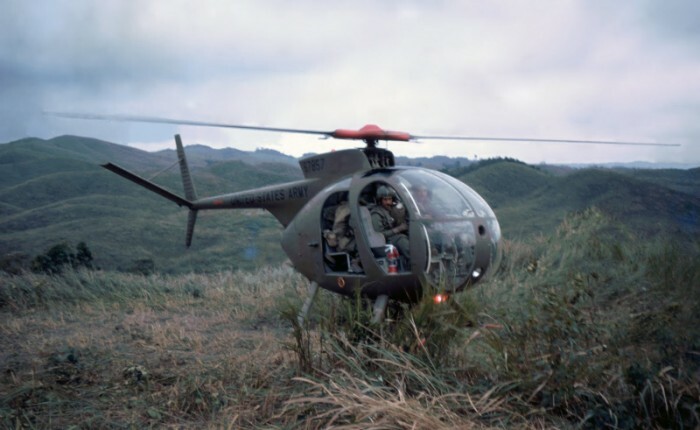 Although these helicopter assets were important, the most crucial factor was the highly trained leaders, pilots and cavalry troopers who were able to exploit the capabilities of these helicopters for conducting airmobile operations. 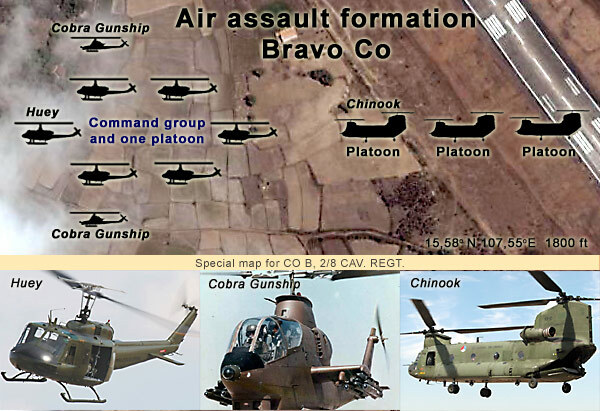 A typical combat air assault for Bravo Company required 5-6 Hueys, 3 Chinooks and 2 Cobra gunships. 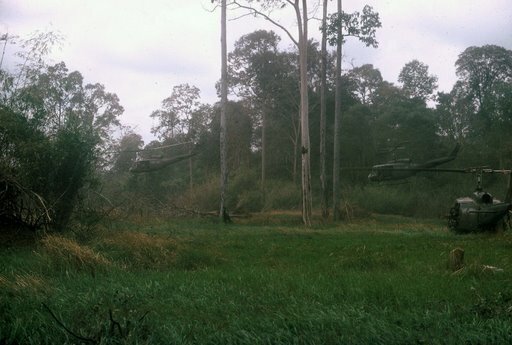 The Battalion Commander and his Operations Officer planned and conducted these airmobile operations, to include preparatory artillery fires, and they controlled the actual combat assault from a Huey Command and Control helicopter equipped with special radio consoles. With the exception of populated areas, the landing zone (LZ) and surrounding area was subjected to several barrages of artillery to destroy any enemy forces, activate any booby traps, and seal off the LZ. 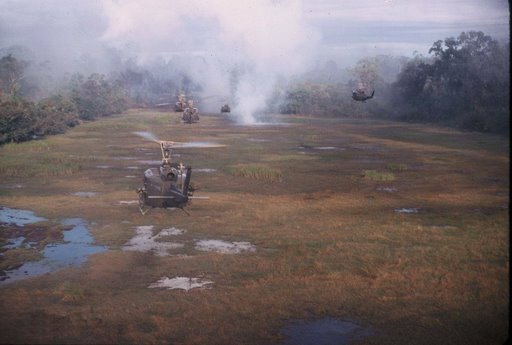 This employment of artillery was a lesson learned from the 1st Cavalry Division’s experience in the Battle of Ia Drang in late 1965 (shown in the movie “We Were Soldiers Once”), when the 1st Battalion, 7th Cavalry air assaulted into Landing Zone X-Ray occupied by enemy forces. 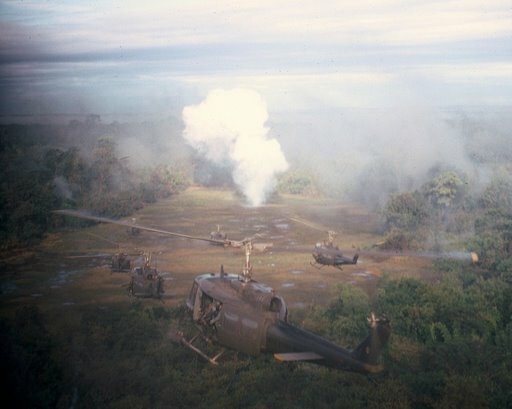 The last round of the preparation artillery barrage impacted only minutes before the touchdown of the Huey formation. 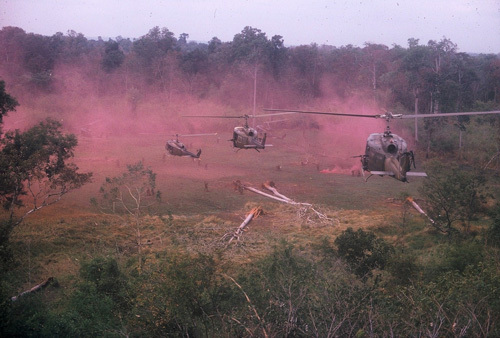 One platoon and the command group were transported on the 5-6 Hueys. Exiting from a Huey at the Landing Zone was very rapid and most troopers jumped out before the skids of the helicopter touched the ground. The mission of this lead platoon was to secure the LZ as quickly as possible and establish a perimeter defense. 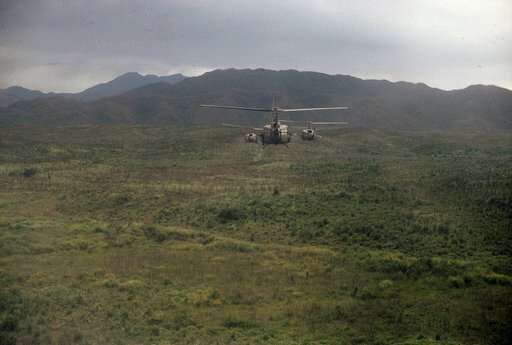 Once this task was accomplished, the 3 Chinooks landed with the remaining platoons, while the two Cobra gunships provided protection and immediate rocket support, if required. A combat assault of this type was conducted very quickly and 120 troopers could be on the ground within 10-15 minutes of the first helicopter touch down. The above deployment sequence was reversed when the company was extracted from an unsecured location. After an extraction from an unsecured location, it was quite common that the company would be combat assaulted into another landing zone. 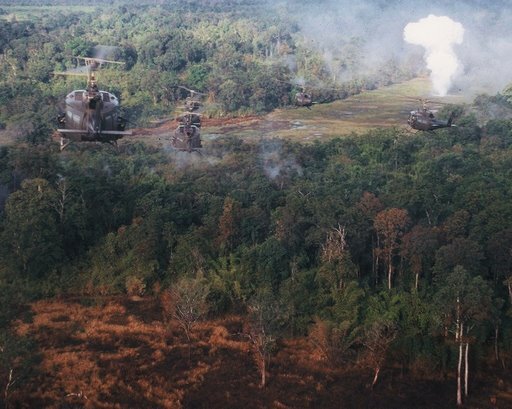 Shown below are six hueys approaching the landing zone on a combat assault operation. The dark smoke shows where the preparatory artillery shells have impacted on and around the landing zone to suppress enemy forces and seal off the area. 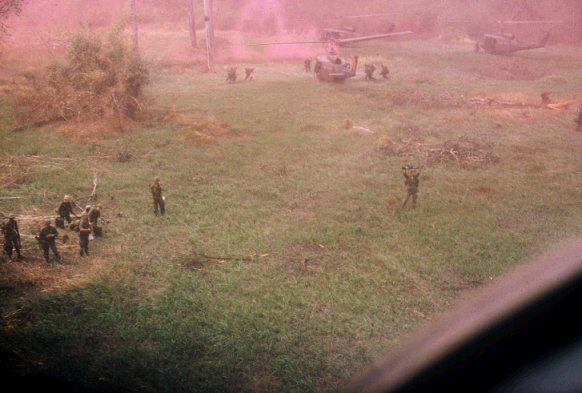 The white smoke is from a white phosphorous shell (Willie Pete), signaling the last round of the artillery preparation on the landing zone and that it is now clear to complete the combat assault. Flying between trees required exceptional pilot skills.